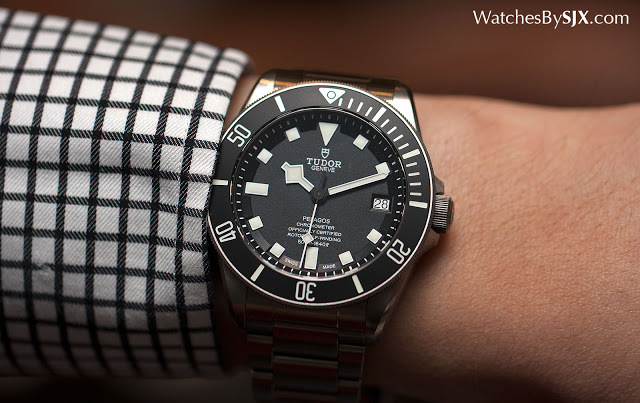 Greek for “sea”, Pelagos is an apt name for Tudor’s highest spec dive watch. 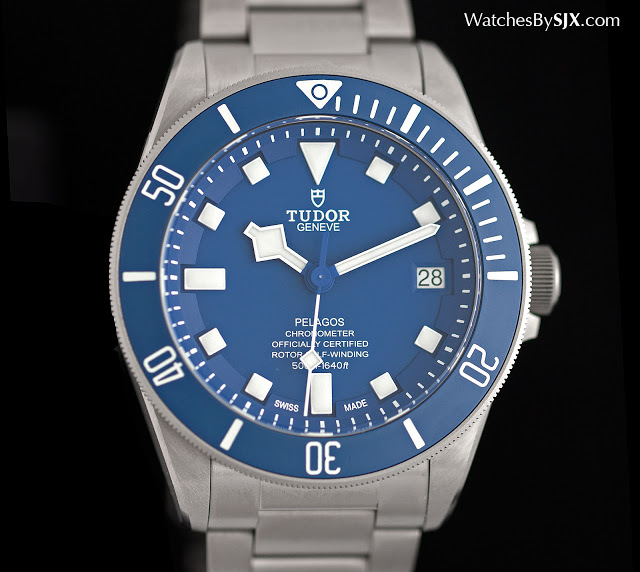 Rated to 500m and entirely in titanium, the Pelagos was first introduced at Baselworld 2012, but this year received a major upgrade with Tudor’s new in-house movement, the MT5612. That makes a good watch even better, but best of all, the new Pelagos costs just a tiny bit more than the first generation. While the Heritage Black Bay is Tudor’s retro remake, the Pelagos is resolutely modern, though it does have hints of vintage Tudor design. The second generation looks much like the first, with the exception of some minor tweaks. 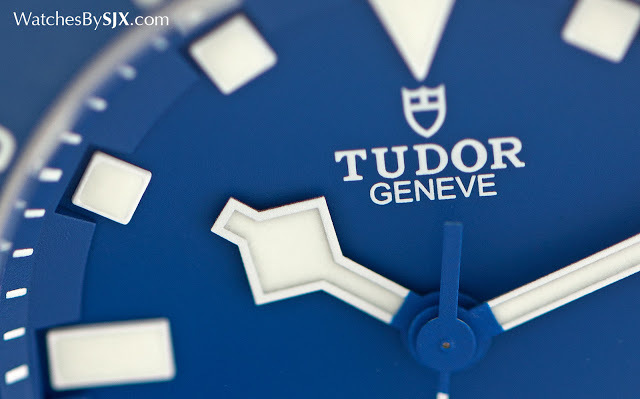 Originally available only in black, the second generation sees the addition of a blue dial, inspired by the blue dial “snowflake” Submariners Tudor made in the 1970s. 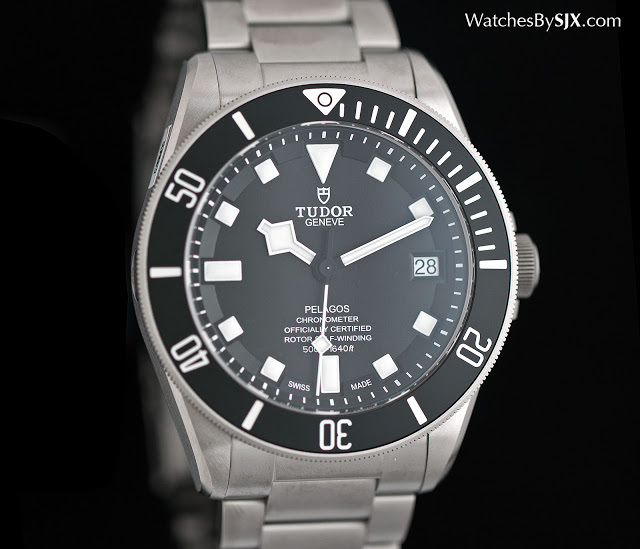 It is an attractive alternative to the ordinary black dial that’s overly common on dive watches. 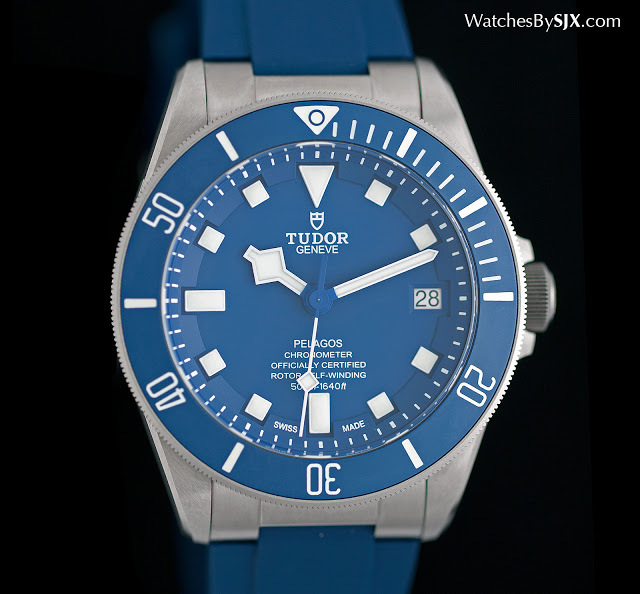 And the blue reminds one of the Rolex Submariner reference 116619 “Smurf” in white gold, which is not a bad thing. Both colours of the new Pelagos have a ceramic insert bezel, just like the first generation. It’s matte with coloured white markings. 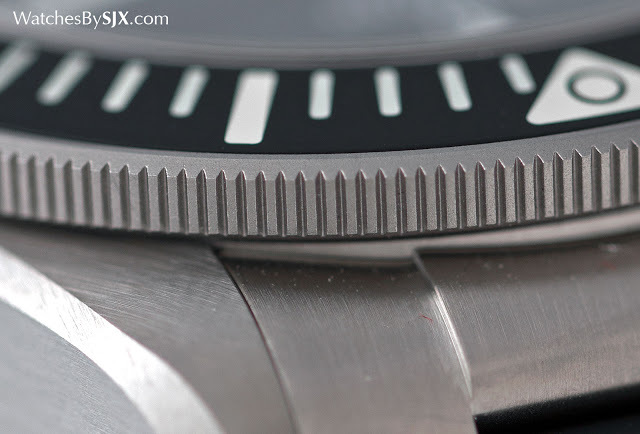 Unlike the aluminium bezel inserts used on dive watches of old, ceramic does not face with time. 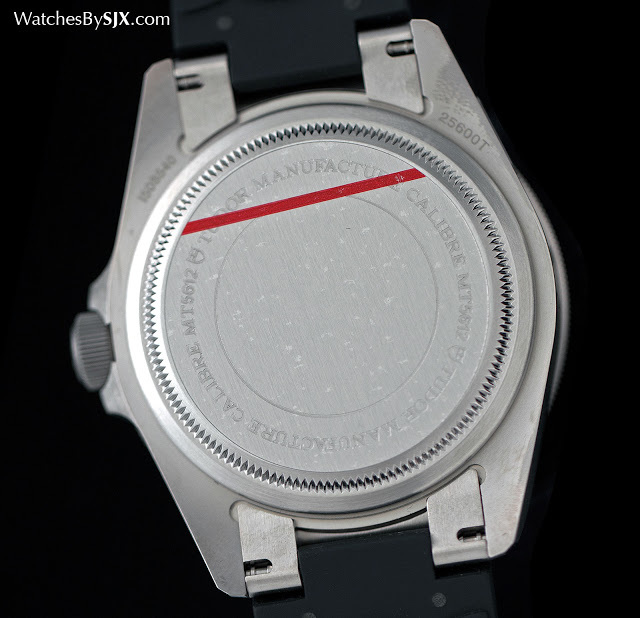 Up close the white markings on the bezel have slightly fuzzy edges, but that’s par for the course with ceramic. 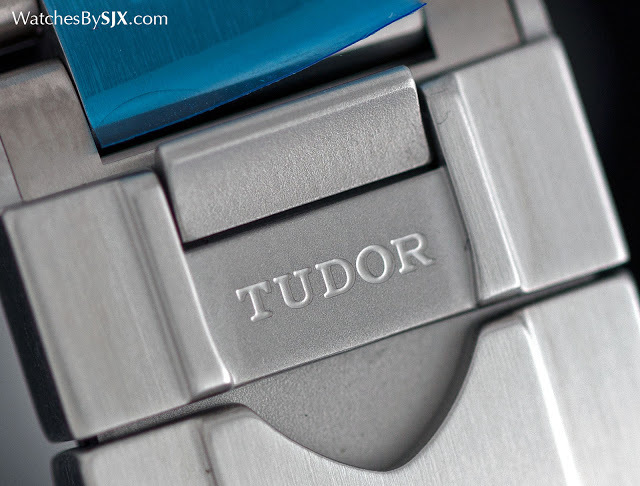 Tudor’s sister company Rolex gets around it by engraved or raising the markings on its ceramic bezels. 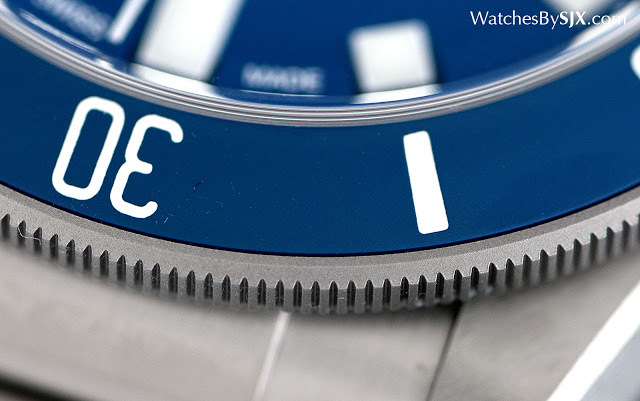 Beyond the dial colour, a key difference between the old and new Pelagos is the lettering on the dial at six o’clock. Because the second generation Pelagos is equipped with a COSC-certified chronometer movement, it’s marked as such on the dial. 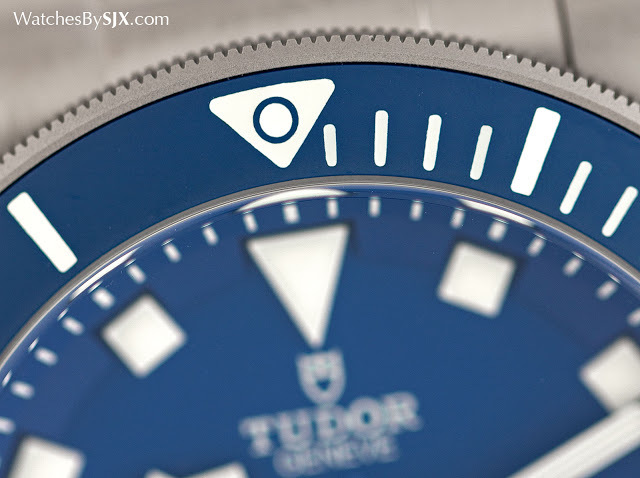 While the first generation had only two lines of text at six o’clock, the new Pelagos has five. That does clutter the dial somewhat, but legibility is still excellent. 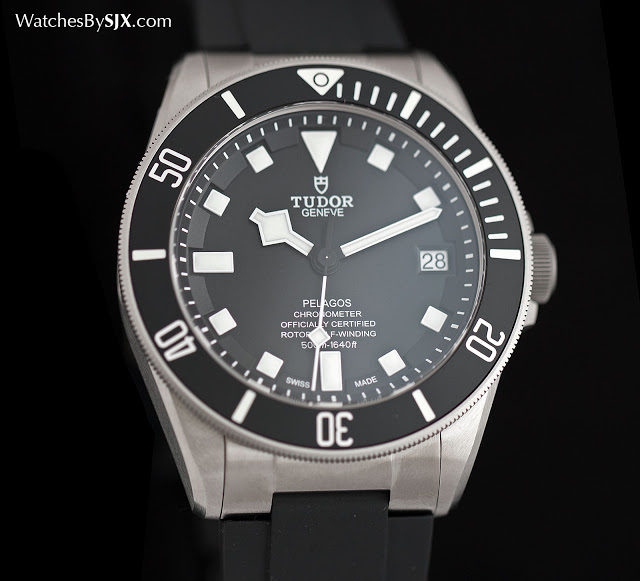 And the lengthy text is also reminiscent of vintage Tudor and Rolex Submariners. More significant than the new look is the in-house movement inside the new model, which is the most important upgrade between generations. 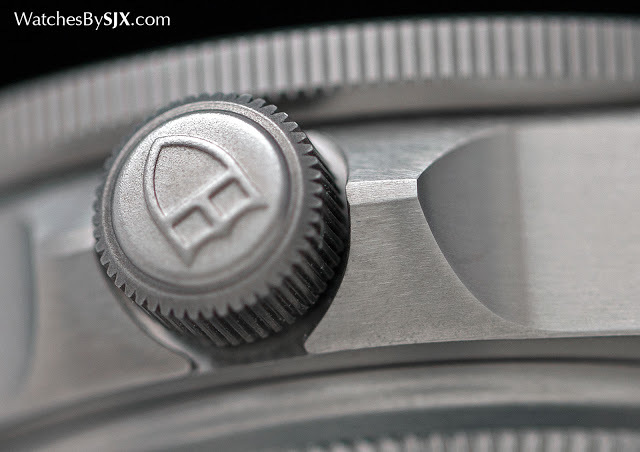 The earlier Pelagos watches were equipped with the ETA 2824, a robust but unsophisticated movement. The ETA 2824 is reliable and low cost, but suffers from a short 38 hour power reserve. If the watch is not worn daily, the movement tends to stop. The new Pelagos is equipped with the MT5612, a close relative of the MT5621 movement in the recently introduced North Flag. Automatic with a three day power reserve, the MT5612 equipped with a free-sprung, adjustable mass balance wheel, a feature typically found in high-end movements that promises more stable timekeeping. 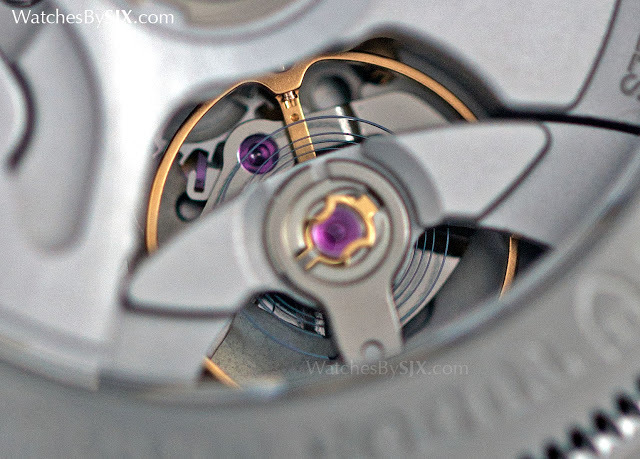 It is also the standard balance wheel in all Rolex movements. And the MT5612 is also fitted with a non-magnetic silicon hairspring, ensuring it is not affected by magnetism or temperature changes. But its most practical feature is the instantaneous date display that can be set at any time, even when the date is in the midst of changing over. 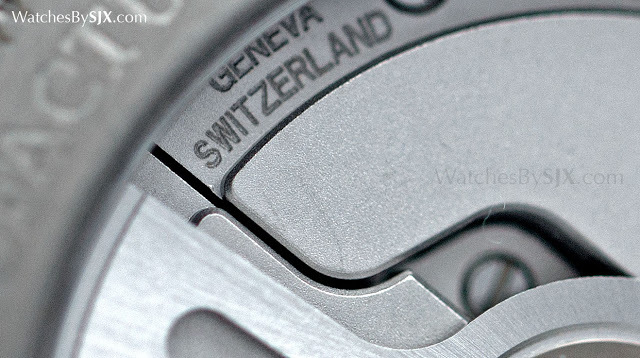 The movement cannot be seen since the Pelagos has a solid back, but it looks much the same as the MT5621 inside the North Flag (pictured above). 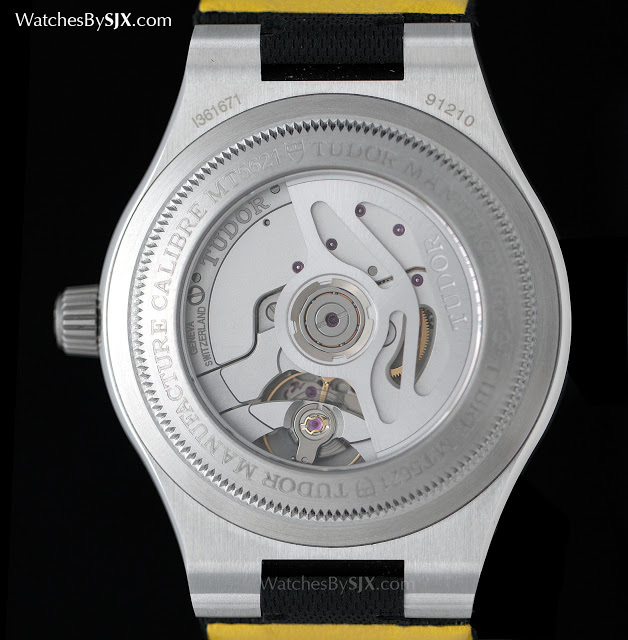 The finishing is plain and functional, but for a watch at this price point functionality matters more than finishing. And in that respect it scores well. 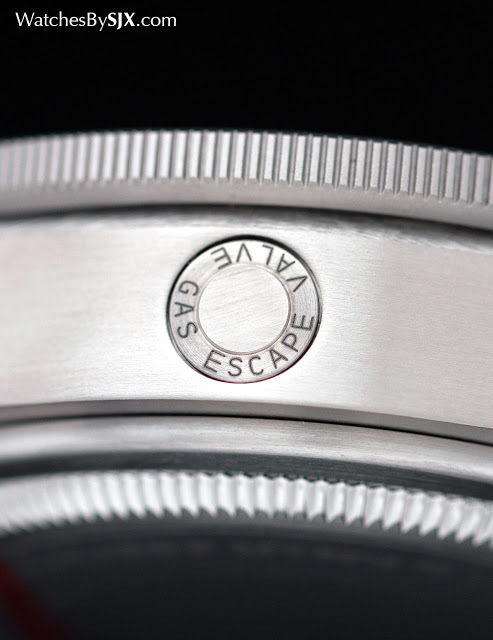 Though the case is exactly the same as it was on the first generation – rated to 500m with a helium escape valve – it’s worth a mention because it is so well made. 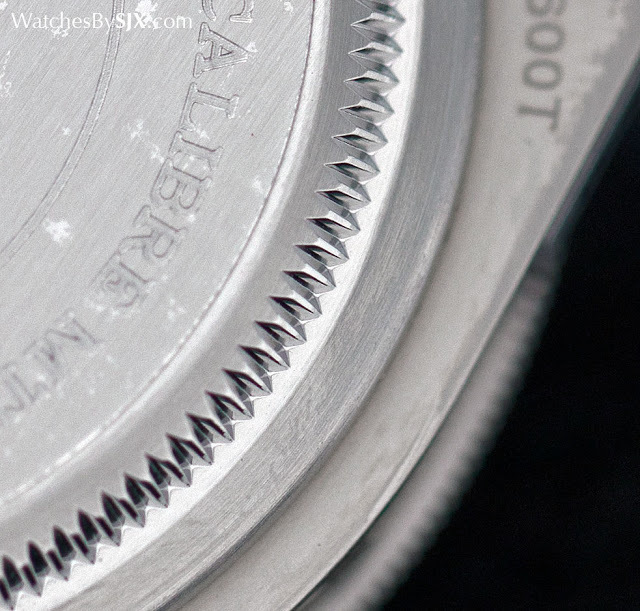 Although commonly used for watch cases, titanium is still more difficult to machine than steel. Besides being hard, titanium is a poor conductor of heat, meaning the cutting tools tend to heat up. And titanium is also springy, so it tends to move away from the cutting tool. That is why most titanium cases tend to have simpler forms and surfaces than steel or gold cases. 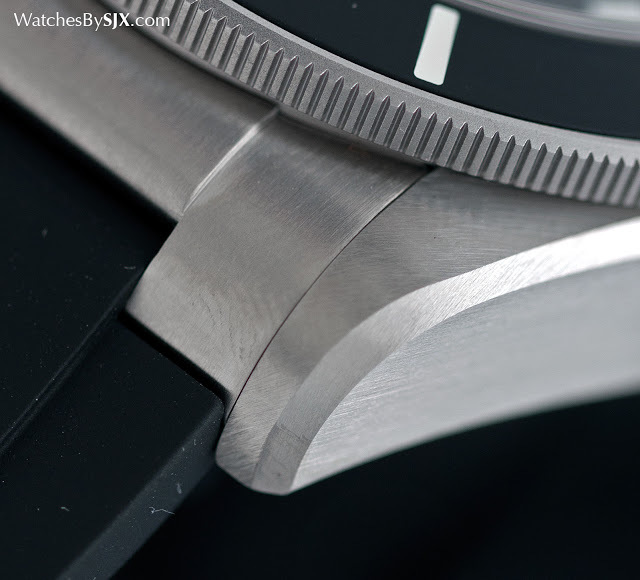 For the same reasons, titanium is usually blasted to a matte finish, rather than brushed or mirror polished; the latter is essentially impossible at this price point though there are a handful of exceptions. 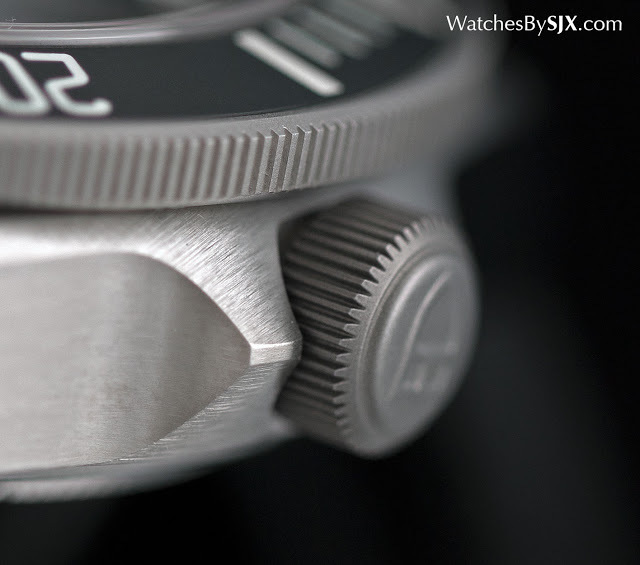 The Pelagos case is titanium, and admirably well finished. It’s completely brushed (mirror polished surfaces would have been extraordinary), with a precise and carefully executed feel as evidenced by the sharp, well defined edges. 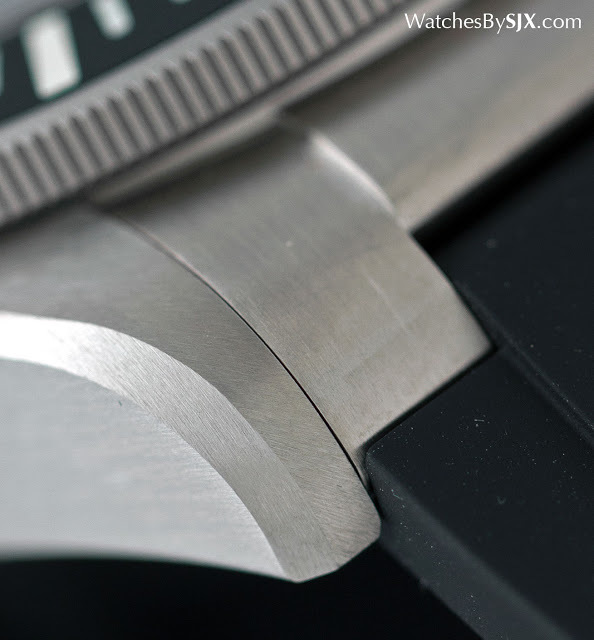 The bevel that runs lengthwise along the lugs is a case in point, as are the pointed crown guards. In its price point, the Pelagos case scores better than its competitors, except for Grand Seiko (but that exists on a wholly different planet from Swiss watchmaking). 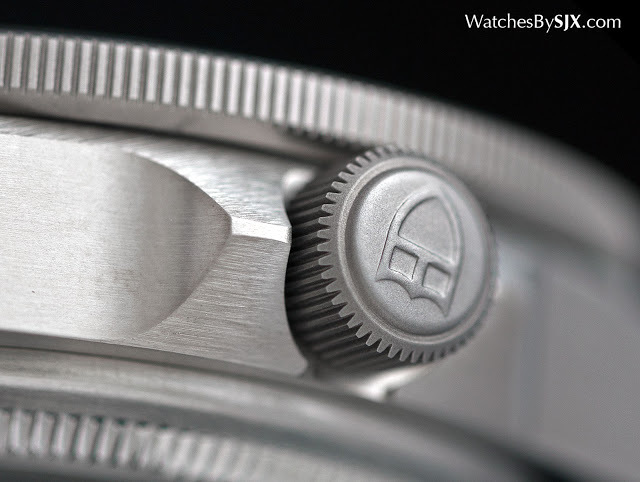 All of the case is titanium, except for the screw-down case back.The reason the back is steel is the fine fluting on its edge, a characteristic feature of the Rolex Oyster case that’s too challenging to machine in titanium. The fluting allows a tool to grip and open the back, without the risk of slippage and scratching that accompanies conventional notched screw backs. Despite being entirely functional, the fluting is fine enough to admire. 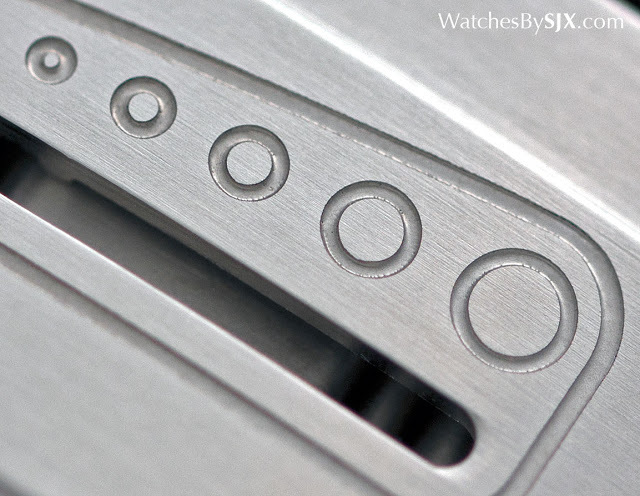 The high quality of the machining is also evident on the bracelet, on the stamped logo on the double-lock and also on the engraved motif for the self-adjusting clasp. 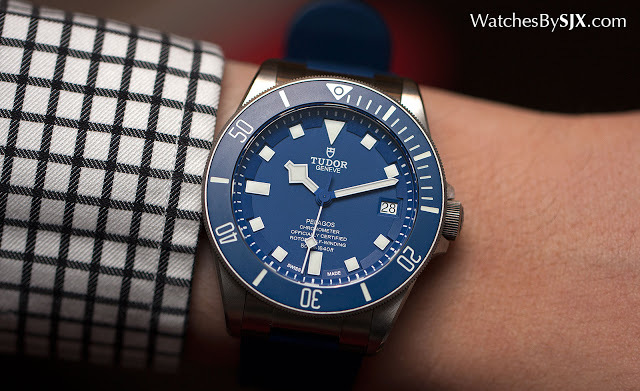 The Pelagos is available in black (25600TN) or blue (25600TB). 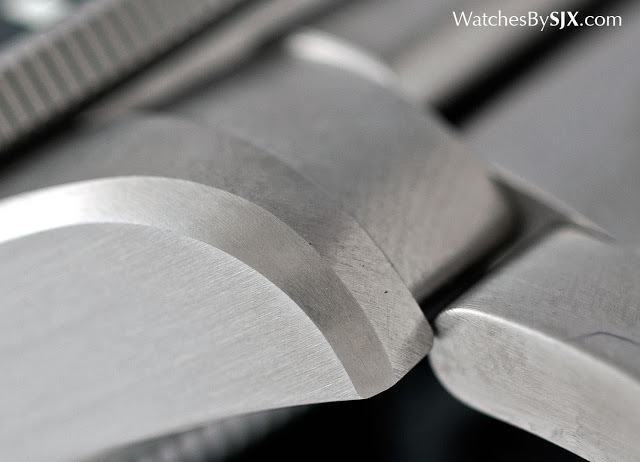 Both options come with both a titanium bracelet and rubber strap, with a price of US$4400 or S$5880. That’s about US$300 more than the first generation.